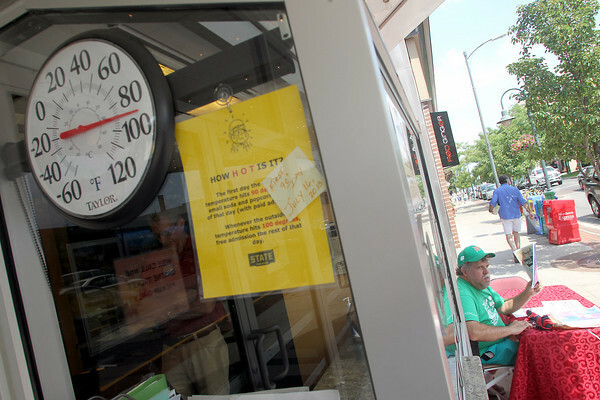 Dennis Gavin (cq), a Traverse City Film Festial volunteer, hands out festival programs outside the State Theatre Tuesday as temperatures in the Grand Traverse region hit the mid-90s. The theater offers free popcorn and pop when the temperature breaks 90 degrees, and free admission when it breaks 100. Gavin said he had been moving the table to stay in the shade as the day wore on.